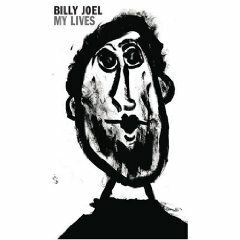 Download "Nobody Knows But Me"
Billy Joel wrote and recorded "Nobody Knows But Me" in 1982 for the children's album, In Harmony 2. The album featured some of the top recording artists of the time like Bruce Springsteen, James Taylor, Janis Ian, Kenny Loggins, Carly Simon, and Teddy Pendergrass, and several others performing rock and pop songs for kids. The album was produced by David Levine and Lucy Simon (who is Carly Simon's sister) and won a Grammy Award for Best Recording for Children. Springsteen contributed his version of "Santa Claus Is Coming To Town" to the album. The song is a fun, free-wheeling rock song, but for kids. It is about having an invisible or secret friend, like many kids do, that nobody else sees, hears, or knows. There is something mildly creepy, however, about the line "But my friend is sitting on the edge of the bed, Talking to me every night." A child having an imaginary friend is fine, a child seeing apparitions (think Poltergeist, Dark Water, or The Sixth Sense) is not. Billy talks about his children's song "Nobody Knows But Me," from SiriusXM radio. Click player below. "Nobody Knows But Me" from In Harmony 2 (1982), and which is also on My Lives (2005) and The Complete Albums (2011).